Mosque is a Holy place for Muslims. It refers to its Arabic name – Masjid. A Mosque is a place for worship for all the followers of Islam. Mosques all around the world are well known for the general importance to Muslims as well as for Islamic architecture and representation of Islamic culture. Although Mosque is the place where all the Muslims of the community come together and have their prayers, Mosque can also be the place of beautiful architecture that is famous all around the world. hi. . assalamu alaikum . . . Yes, Masjid in English is Mosque. But, the meaning is different. I agree with Sameer. The spanish word is Mezquita not mosquito. This place is not for your discussions. Go do that somewhere else. This is a site to showcase the best in design and let’s keep it that way. Behave decently and don’t mar the name of Muslims by starting unnecessary talks. Thanks fajarfaqih for the information, and what you said is correct, even it is not an opinion but a fact. Technically it would be masaajid since that’s the plural. I think it’s probably incorrect that mosque came from the word mosquito which is usually why people object to using the English. It’s more likely to have come from the French “mosquee” which comes from Middle French so I think it’s better not to get het up about it but Allahu Alim. Wow.. Those clouds and the lighting just breathtaking. It is in Kuala Lumpur,Malaysia. I don’t know what it is, but I don’t like the look of the buildings with a modern twist like ‘Faisal Mosque – Pakistan’. actually its not your fault u guys have problem with all the Muslim community…! and also if you don’t know about that better u keep quite! It seems to me that he was not commenting on the Muslim community at all, just the architectural look of a few of the mosques pictured above. We could just as easily be examining a collection of pictures of Christian churches or palaces or Soviet monuments and say that we didn’t like some of them as much as the others. Please don’t be overly sensitive when no insult was intended. I Agree, Dutch designer said about the muslim community at all, just the architectural look. It’s guy like you, Hamza, that get us all this negative clichés and ideas about Muslims! “Dutch Designer” never said anything about the muslim community, he just said that he didn’t like the architectural look of one of the mosques, that’s all! Hamza – I think Dutch Designer was only stating his architectural preference and nothing to do with Muslims or Islam from the wording of his statement. Well every person has their own taste, I personally really love Faisal Masjid Building, Islamabad ,Pakistan. I been to that building if you go and look at the building then you will realise how beautiful it is, its not just outside inside and from far away (mountains view) its a piece of beauty. I think you are judging the book from its cover ! the person who designed this building, designer even won the price as well. I agree with You, There is some significance behind the Doom & Minarets. the latest architects are showing there creativity in wrong place.The traditional mosque design are the best. Very good collection. But hoped to see some mosque from Bangladesh too. Dhaka, capital of Bangladesh, has many many mosque. Dhaka is known as ‘City of Mosque’ for this reason. Thanks for the nice collection. Well Its Shame on us Muslim who don’t have unity! You shouldn’t see who is bagali or Pakistani or Indian, All Muslim are brother /sister. I am sure you meant as joke but try to Love every Muslim nation, without taking piss on others, every person makes difference. I agree with Fas Khan, aamir stop being so arrogant, very rude and unnecessary and will get you nowhere in life. How about Al-Aqsa Mosque in Jerusalem? It’s one of the most beautiful mosques in the world! Dome of the Rock is not Al-Aqsa Mosque. Both are actually very near each-other and every time Al-Aqsa Mosque is mentioned in the media they keep showing Dome of the Rock and that is why, I think, even Muslims confuse it these days. Thanks for this breathtaking collection Noupe! Have look at this one its beautiful 3d View from inside the Masjid Al-Aqsa. Awesome collection. Thanks a lot for sharing. These collection are superb and awesom. Please share other information reagrding Muslim background. Amazing, and wonderful post. Jazakallah brother. I loved this page very much. The Mosque and the Towers – United Arab States < ni bukan masjid KLCC ke? Ubudiah Mosque (in mono and square) < ni bukan masjid kuala kangsar ke? ape2 pon mmg lawa.. terutamanya mekah..
High exposure. The camera lens is open for longer, capturing more light, but at the same time, capturing movement. The result is that the moving objects to appear blurred. Just to sum it up, islam in Arabic means complete. Its way beyond worship, it is the meaning of your existence and your relation with the Creator (After all we have been created by Someone). Islam is about how to be a human, from treating people to keeping yourself clean. And islam is a super set of all religions of the past, we cant be muslims if we dont believe in Moses or Jesus as Prophets. :) this is where it ends. hi :-) there are many many versions of islam these days and most of them are only for misguiding those who dont kno! just remember that a true muslim believes that there is only One God and He sent many massengers to guide the mankind and all of them delivered His true message! the last prophet Muhammad (p.b.u.h.) was sent for the whole world! A real muslim believes in Allah,trusts him in every situation,doesnt harm anyone or hurt anyone and believes in the rights of every other living being and his own duties!! u want to know about islam then know the person who delivered islam to us,our prophet hazrat Muhammad(p.b.u.h.) and dont judge islam by looking at the so called muslims these days. Look for Dr.Zakir Naaik,Dr.Israr Ahmed,Molana Taariq Jameel and Islamic Research Foundation. I hope Allah guides u to the right path! Amen!! why would you want him to go to this website, it is against Muslims..regarding the people who sound like Muslims, but are not. A fantastic collection. Thanks. Although beautiful mosques are not limited to these and as Amer mentioned “Al-Aqsa” is a great candidate and so is the “Taaj Mahal” in India. The Taj Mahal itself is not a mosque, although there is a mosque next to it which is within the gardens. I think you missed one “Masjid – Dian Al-Mahri – Kubah Emas [The Gold Cube]” from Indonesia. Beautiful…The Most Beautiful places in the world…. But don’t worry, I’ve been assured that islam is all about peace and love, so it’s all good. Yes, well with over 1.5 billion Muslims, you’d certainly be hearing from us more often if it weren’t. That’s true, personally I’m more concerned with all the *Buddhist* suicide bombers, terrorists, et al. ; since their numbers are similar and they are obviously the more violent of the two. Good thing you guys are so tolerant. Thank you for that. extremist all religious have it, but as for current circumstance, extremist of Islam notice by the world more. But let put all that aside, and enjoy the beauty of the masjid. Breathtaking collection – thanks for sharing! You forgot the mosques in Iran! You may google for “iran mosque” if you are interested. 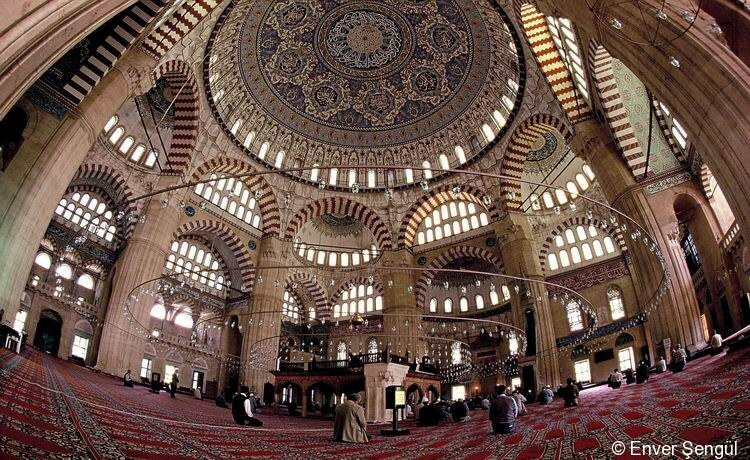 Amazing Architecture :) – Islamic culture is very royal. amazing inspiration, just wondering on Badshahi masjid why its not pointing that which country has that masjid? where else every masjid has country? Is it because its situated in pakistan? I saw the same mosque, once in Damascus, once in Syria. There’s something wrong. Damascus is situated in Syria. I’m Sorry. I should know it. Wow .. lovely collection . MashAllah..
Hey, this is great, but isnt one mosque missing? the dome of rock mosque and the al aqsa?! very nice collection, but it seems that the photographer has not seen the beautiful mosques of Iran like Sheikh lotfollah mosque and Imam mosque. Actually the spanish Mezquita de Cordoba is a Catholic temple. Wow, These are just amazing beautiful places to pray our God. Is this article speak about design or religion or even a country?? Me too man, I’m just web designer and who want to read all about web not about architectures, beautiful Flickr photos. this web is all about finding what new and better. even you are web designer you need to open up a lil bit to other style. if i am a client,i prefer web designer that more open to other stuff, and not just sticking in its cubical. One technique I’ve heard many times for improving (web) design is to seek inspiration from new sources. This would certainly qualify as a new source, one that most don’t consider when designing websites. 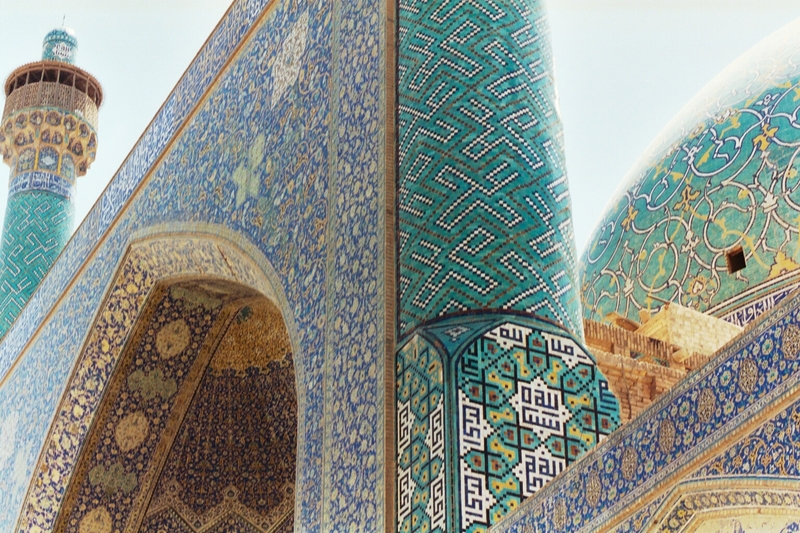 Many web designers could learn a lot about color, proportion and the incorporation of curves into design from Muslim architecture. Mike, brilliant observation. I agree with you and will try to get some inspiration from these works in my future projects. I thought Noupe.com is all about web design and graphic related design blog. What’s wrong with you guys I saw some useless compilations articles for designers these days. (I’m not talking about religions.) Just want to point out to do some useful design related articles. I’m subscriber since 2008, want you guys to focus on designs rather than compiling beautiful photos from Flickr and naming beautiful waterfallsssss… etc..
Turkey has really great mosques. Thank you for the nice pictures and to all gyus for the links. Do you have any of Qurtaba mosque? Nice to see this article…! and nice photography of all masjids..
thank you for all, for posting this article..! Wow – thanks for those pictures! Wow – thanks for those images! Thanks for this post. Thanks to the photographers. Nice collection. I didn’t know that Singapore has so beautiful mosques. Most Excellent. Well done. Hats off to you ! Thank you for sharing these pictures. The architectures took the mundane (mathematics of building design) and created more than was absolutely necessary. For what? …for the inspiration …for the beauty of the eye. All can learn from this. I am german – i can post images of wonderful buildings made by nazis. Sarcasm. Most, if not all, ppl dont understand that any mosque is the result of religious megalomania. You dont need this buildings for prayers; but you need it for power demonstration and power abuse (social decomposition). Humans are crazy = architecture is crazy. This should be worldwide illegal to give groups so big places. 99% of all muslims are isolated in germany – nobody like them – no mosque in germany change that. Islam never allows us such excessive show off. It tells us to beautify our mind/thought/soul rather than our houses, outlooks or else. We are recommended to donate money and wealth for others including poor, orphans, helpless, not spend on such magnificent structures. Allah (our god) calls them brother of Saitan(arch devil) who spends wealth unnecessarily. As you said, some people need to demonstrate. Allah would be happier if we prayed under a tin-shed and made better use of that money. Creating beautiful things is is the result of divine influence – no matter what god you believe in. Creating is what mankind is supposed to do. Creativity comes from the creator. BTW, i’m German too and i don’t feel like Muslims are hated. There are some cultural and social problems, that are not significantly connected with religion but with the fact, that Germany was hiring millions of the most uneducated peasants from turkey in the 60’s to rebuild Germany. That has nothing to do with religion but with major social and educational differences. Just my thoughts on that. Many non-Muslima have visited these mosques and have accepted Islam after they felt extraordinary serenity and sense of peace while they were there. So if we look at the bright side, it’s not that bad either. I needed to add that I do agree with what you said at the end of your post. I am certainly not in the favour of investing in constructing masajid at controversial sites when the amount can go to much needed people suffering from natural disasters. Such an attitude is pure selfishness. Main reason for big building is to accomodate huge amouunt of people in religious acitivies. I guess you never been to Mosque neither you know anything about any religion not just Islam. I live in England I know many German people and never heard such hatred I think you are alone in that. Try to think positive manner It might help. The fundamental concept of Islam is to be humble and kill the pride. No to show off things. If you Avoid me, You will be Ruined Soon..
i like all the mosque vaey deeply. Thanks for Sharing. Beautiful collection, but the most important is the essence of God. Islam is a perfect religion and has so much to offer. technology has made it more easy to learn about Islam, so I advice my non-Muslim friends to study Islam and make a fair judgment. Breathtaking collection .Mashaallah . thanks for sharing……………. nice…where is Delhi Juma Masjid? Wow. really great collection. These masjids are breathtaking..
Massa Allah its very nice collection for understood of islam i.e ture religion in the world. I really enjoyed this amazing pictures.I’m a french teacher , and would like to ask your permission to use it in a lesson about muslim around the world for my students. Wainting for your reply jazakum Allahu Khayran. The only places I know that “jihadists” come form are Hollywood, Murdock empire news agenda and minds of haters like yourself. of course it’s not your fault that you get your education from block buster movies and tabloids, because these sources don’t tell you how millions got massacared in Palastine, Iraq, Afganistan, Pakistan, and other places in the name of Uncle Sam and his fellow gays..
and it is really interesting. ps. I know this is not a place for political args, but you can delete it anyway. WOW is all I can say. I would love to visit any of these Mosque and be lucky enough to have someone educate me in the Muslim ways…. Mosque with twin towers behind it is not in UAE. Its in Kuala Lumpur, MALAYSIA! these are beautiful mosques and infact mosques are beautiful……………. Such a wonderful pictures. Indeed beautiful and breath taking. Jazakallahu khair for sharing it. This is a very good post. What we are appreciating here is the design of things in this case Mosques. It is a very good idea. These are describes the judgement day coming soon. no. 1 & 17 it is my photo..
Nice masjid, but why no masjid pic from Indonesia. A lot of masjid here in every village. Wow, that’s really interesting, very nice!! those are incredible! there’s no doubt that muslim and arabic designs are unique and attractive. I think these mosques are beautiful, who ever designed them Allah will design a house for them in heaven. Amin! Really this are Beauty and excellence mosque. Excellent collection. Just superb ! Very nice work NOUPE ! There is a beautiful mosque in the capital of Bosnia. Islam is not only Arabia but for all of us to live together in a plan. Not a single one from Iran, Iraq or the Shia’ community. Smells like an agenda. i hope you would take a glance of the other part of the world who are hungry to hear about islam but no masjid at all. subhanaloh, that’s amazing picture… thx 4 sharing. I’m blinded by the beauty of these gorgeous temples! I’m sad so many of my fellow Americans have such ridiculous fears over Islam. I have a few Muslim friends and one of the things I envy is the rich culture they share. These buildings reflect the beauty of their souls. Well and fair said. If people read more about Islam, they will find it a peaceful religion not as the Media shows ! Allahdulliah masjids are ready and its tym to wake up and perform 5times prayer. Photographs of mosques are very beautiful.But unfortunately there are no information about each individual mosques. Kindly insert full information about all the mosques. After insertion of information about all the mosques, your web page will be excellent and complete. one of the blessed collection, may god bless you for your excellent work making me happy. One BIG mistake: The first photo with mosque in Istanbul it’s actually shows Ayia Sofia, greek orthodox church, from the time of Byzantium, which now it is a museum. We say in french “MAGNIFIQUE !!!”. more interested in praying at the mosque, Muslims are expected to pray together at the mosque every five prayer times and so 27-fold will be rewarded directly from Allah, and I think every mosques all around the world are the wonderful places..
best images in all over the world.i am proud of being a muslim.i never found a best collection like this. I agree these are the most beautiful images of Mosques. The most superb mosque collection i’ve ever seen. But there is a slight mistake i should mention here. The mosque named “The Mosque and the Towers – United Arab States” (23th picture) is actually the KLCC mosque. and it is located near The Petronas Twin Tower at KLCC (Kuala Lumpur City Centre); in Malaysia. subhanallah, really beautyfull all mosque in the world. thanks, have view it. give collection mosque other in the world again. Very beautiful pics!!! Thank you!!! Masshaallah ,i really like the mosque, i wish to be there and pray in that beautiful mosque. Thanks for a nice collection of mosques. I find it unfortunate that you included no mosque from Iran. 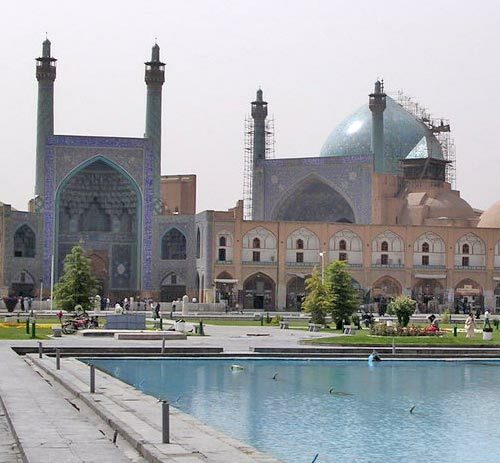 I invite to look up the mosques of Isfahan with blue tilings. There are simply breathtaking. Once again thanks for you nice work. So beautiful mosque, never have seen such beauty. Your comments on mosques is really appreciable. Your photograph looks very beautiful. I just wanted to say, how much do you know about Islam to say something like this? this just your morals. Islam recognizes Christianity and Judaism, and believes in Jesus and Moses. Please read about Islam before you say something you don’t know. AND I WANT TO SEND THANKS FOR THIS ARTICLE, But would be better if you gave a short overview on Islam. Thanks to Almighty Allah. Thanks to HIS creators the mankind who made these beautiful mosques.Really I must immensely congratulate the organizers who had taken these most beautiful mosques.With the phase of momentum, after a long decades from generation to generation its remembrance should never end. looking at Hajj transmission on Tv and pictures on websites and now at all these pictures in this post makes one to be in Haram Masoque so badly. hey, we here in Indonesia, have a beautiful Gold Mosque. Thank you very much for this great post. Allahuakbar. subhanallah, really very very nice and beautyfull all mosque in the world. thanks, have view it. give collection mosque other in the world again. plz I like all Mosque. Thanks to view It. Wow, I like this website. . . cool . . .
That are some beautiful mosques around the world, love to visit them, I visited many of them Like, Makkah, Madina, Jeddah, Islamabad and Lahore cities. Thanks for sharing , great post. Masha Allah good see all the mosques from around the world.. Please provide links if you people have any other. Masha’allah… thanks for sharing. Im agree with @Ahmed, masjid is a place where muslim go and offer prayer. We can pray everywhere but masjid is best place for pray. If you no longer respect Islam, or any other religion, keep it for your self. Your comments are not related to this topic and they are rude and offensive. I ask the admin of this site please to remove them and forbid them as well as you do not allow link dropping, no keywords or domains as names; spam and advertisement! Wonderful work indeed!May Allah Subhana Watahala bliss all who are involved in this great work. I wish you could work on historical mosques all over the world including Africa.May Allah give you the strenth to do this.Amen! SubhanAllah, MashAllah..Great List of Mosques..
Really awesome collection of mosques. 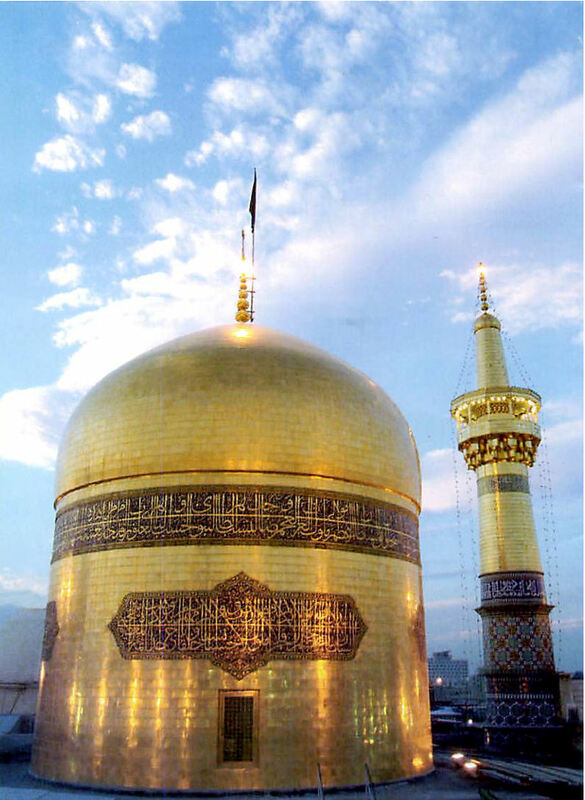 Great Mosques…Mashallah, Pure Awesomness, I’ve ever seen such a beauty in my life….. Please add one of the amazing mud-built mosques from the Sahel! I M A COMMON PERSON IN THE PAKISTAN BY THE NAME OF ALLAH I HAVE VISIT TO MAKKA AND MADINNA ETC. THANKS FOR ALL THOSE PEOPLE WHOSE COLLECT THESE PICTURES I AM MY SELF SO MUCH LIKE THE PICTURES OF DIFFRENT MOSQUES AND I WANT TO COLLECT PICTURES LIKE THESE INSHALLAH IN FUTURE I WILL ADD THOSE TO THE NET WASALLLLLAAAAMMMM :……. THANKS FOR ALL THOSE PEOPLE WHOSE COLLECT THESE PICTURES I AM MY SELF SO MUCH LIKE THE PICTURES OF DIFFRENT MOSQUES AND I WANT TO COLLECT PICTURES LIKE THESE INSHALLAH IN FUTURE I WILL ADD THOSE TO THE NET….thank’s again …. 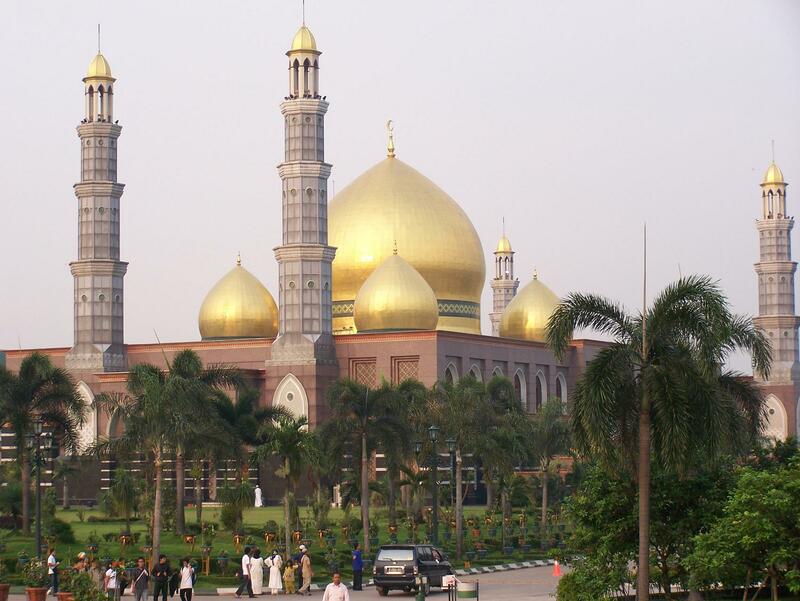 Correction on 40 Most Beautiful Mosques in the World – the image with caption ‘The Mosque and the Towers – United Arab States’ in in fact in Kuala Lumpur, Malaysia. TURE LOVE WITH GOD WHO ARE BUILDING THE HOUSE OF GOD. I am in Turkey. Sultanahmet Mosque is incredible.. I hope Masjid-el Aqsa would be in the list. thank you but where is masjid quba,masjid qiblatain,masjid namirah,masjid ayesha? splendous and spiritual scard views of holly mosques still encourage us that we are true muslims. Great collection! MashAllah! Please add beautiful Mosque located in Astana, Kazakhstan. i came across this site while doing research for a report on Muslims. and i’m glad i found this, these pictures took my breath away. Beautiful! These are very beautiful Mosques. Mashallah.. This is really so beautiful collection. Thank you very much. Amazing collection. Try to startup a Islamic Website holding those pictures and others. Alhamdulillah! Very Nice collection! Respect to Web Admin. Subhannallah, Marbelous . . very nice collection. Congratulation. and pse submit the other Mosque in all over the world. Subhanallah. Thank you for posting this collection. Fantastic! Love it! These are incredible. I think the Masjid Nabawi is my favourite. You missed a large number of Great Designs in Iran. Mosque is a Holy place. its importance is in the sence that you feel, which mostley achieve from interior spaces. I strongley Suggest you to Study on Iranian Mosques. If you want i can help you. that why we say that “God House”. I want all these photo to my email id. Please send me if you have. Masha Allah, These mosques are the reality of the Islam.I like the collection. Islam is a way of life… i LOVE islam whole-heartedly and i wish to be a better muslim in future… amin… BTW,im proud got several malaysia’s mosque in the list..;)..ALLAHUAKBAR!!!!!! The architect of these holy places are breath taking…beautiful and at loss of words. Allah bless all those who endeavored in constructing them. The one you are calling Mosque and Towers, the towers are the Petronas Towers in Kuala Lumpur, Malaysia. Been there many times. Assalamualkum these mosuqes are the piller of islamic ideology .we muslims have great great thank 2 ALLAH. Ma’shallah they are so pretty! i am indian . very beautiful largest mosque in india pic??? Subahanallah! i am really lucky 2 c tis pics.. great site ….may allah be with u.. These mosques are then beautiful when we pray five times in these mosques. A mosque is not beautiful when you built it by gold and silver “no” when you pray five times there…. BEAUTIFUL IMAGES I LOVE THEM. How beautiful the Mosque is? thank you very much these are really beauty Mosques in the world and they so important for me and it has very wonderful information about Mosques for Muslims. MASHA ALLAH , ALLAH MASHA ALLAH. masha allah such a beutiful masjids.i like to visit the these masjids insha allah.allah bless you. Masha Allah Bohet khubsurat masajids hain.dekh kar dil khush hogeya.Allah aapko iska ajer dae .Aamin. These are stunning photos. During my travels in Indonesia I also saw some beautiful and pretty mosques. The Royal Mosque of Yogyakarta, in Java, was especially beautiful. masha allah all mousqs telling us about greatness of “ALLAH”. Assalam-alekum. It is a beautiful Islam .Mosque is show great GOD. Beautiful mosque i love it so much. beautiful mosque of the world . It gives me an immense feeling to see the holy mosques in the Ramadan month. May all give you the reward for your work in the kiyamath. this is really amazing, isn’t it:? we you be very proud to be worshiping in such a decent place but brothers and sisters lets enter with peace and clean heart as true Muslim. Allah bless us all. SUBHAANALLAH!, SO ATTRACTIVE & AMAZING-FULL. I wish i will have this kind of Mosques in my country, so beautiful and good looking. this is a very beautiful mosques and i pray to ALLAH k ham sab ko 5 times ki namaz ba jamat parhny ki tofeeq ata farmaye ameen. I m very happy to see the beautiful Masjid. Thank you for your presentation. mashallah these pictures are breathtakingly beautiful! it gives you the urge to visit these fantastic mosques! MASHALLAH SUBHALLAH BEAUTIFUL PICS .WHEN I WAS LOOKING TO THIS PICS I FEEL WHAT I DONT KNOW BUT I MUST SAY ALLAH IS GREAT .INSHALLAH ONE DAY AFTER BEING AN ARCHITECT I WILL DESING SUCH MASJID. My boy’s kindergarten asked parents to present some pictures featured by Mosques refelcting the great culture of Islam. These are the greatest that I found on the net. Thanks for sharing with us such beautiful and second to none pictures. Very Beautiful & Also Amazing. And i pray to ALLAH k ham sab ko 5 times ki namaz ba jamat parhny ki tofeeq ata farmaye ameen. shukria bhai jan love u………. i love that all photo of beautiful mosque in the world. I am very charmed. The pictures of the mosques are really beautiful.Thank you lot brother. Assalam Alaikum MASHALLAH SUBHALLAH BEAUTIFUL PICS .WHEN I WAS LOOKING TO THIS PICS I FEEL WHAT I DONT KNOW BUT I MUST SAY ALLAH IS GREAT .INSHALLAH ONE DAY AFTER BEING AN ARCHITECT I WILL DESING SUCH MASJID. I really want to see all this beautifull mosques with whole family. MasyaAllah, Allahuakbar… These are really beautiful. Thank you brother for the post. I am an architect and I wish I could design a mosque, one day… I am very sorry, but there is a little correction, ‘The Mosque and the Towers – United Arab States’ is actually located in Kuala Lumpur, Malaysia. Coolest mosque photography,keep it up dude.i like ur work. What is the beautifull masjid collection. I very very like this. rozna 8 hour # 5- her mah 3 din. MASHAALLAH………MAY ALLAH BLESS TO ALL WHO UPLOADED THESE SOUVINIERS. SERIOUSLY THESE R DIAMONDS ON THE EARTH………. We want to pray and full this all masjid. All the things are very much. but our all efforts should be just only for Allah subhanahu wa ta’la. Yatik Al Afia. Really Amazing. Want to see Beautiful Bangladeshi Mosque. Sukran Jazilan. Subhanallah Subhanallah. This is the beauty of ISLAM.When it come to the religion none is comparable to the muslim.This is not the greatest mosque in the world but in fact the GREATEST building in the world. NO COMPARISON. SUBHANALLAH. excellent mosque collection.its really wonderful!!! Maashaa Allah, What a beautful collection mosques are? It is really wonderfull effort you paid to collect all these nice photoes around the world. Thanks a lot. I REALLY LOVED IT AND THE MOSQUES WERE REALLY BEAUTIFUL COULD’NT BE COMPARED WITH ANYTHING IN THE WORLD SUBHAN ALLAH. I really liked it and my desire is to see all these mosques,once in ma life time Aamin. These are amazing masterpieces . Thombs up.. The Mosque are the places for worship for all the followers of Islam. I think these should be made beautiful for prayers. i really became happy after looking these. MASHALLAH ITS AMAZING,,,,,INSHALLAH LET ALLAH MAKE US ALL TO VISIT ONE N ALL THE MOSQUE IN THE WORLD,,,,,,,,,,,,,,AMEEN..
We don’t have much sentence to appreciate regarding the above collection these are excellent God bless you. Al-hamdolillah.The pictures of the Mosques are beatiful and very much appriciated, but we need the mosques to be full of people at the time of five time prayers. al hamdu lellah we are in allah rahma we ask the mighty to fulfil our heart with iman&taqua ensha allah. MASHA ALLAH its amazing i m very glad after watching these mosques. Subhanallah all are very nice Subhan Allah..!!! MASJID is the most pak place there every MUSLIM go for NAMAZ and all IBADATS. Maashaa Allah. May Allah reward you great. I have posted these on facebook and your shared your website. watching the pictures made me happy, you made my day who ever posted allah will reward you to remind us, and those who dedicated to build Masterpiece mosques. ALL THE MOSQUES TOUCHES MY RELIGIOUS FEELINGS. THEY ARE SO BEAUTIFUL AND WONDERFUL. Maashaa Allah…….!!!! all the mosques are very beautiful,amazing and wonderful. visiting mosque is actually visiting paradise. these daughters of kaaba will ultimately be placed over there. Its Very nice I swear Dil Garden – Garden ho gaya……………. mashallah tebarek allah for you and those who build these beautifule mosques.try to include the historical mosques as well the year they built this post is for the most breathtaking architicting designs for Mosques, the Mosque is the place where muslims go and offer prayers.. some of these building have built hundreds years ago, and others are just have opened..
MASHA-ALLAH. WLLING TO OFFER NAMAJ IN THESE MOSQUE. MashaAllah! These are extremely beautiful..
Sub’han Allah.. how attractive is each of them mosques are! In fact,the truth is that,i was short of words seeing this architecturally outstanding islamic properties.I will first pray for everyone that contributed to this successfull documentations,its a great work.More grace to your elbows and may Allah in HIS infinit mercies grants you Aljana Firdausi-AMIN. So many beautiful mosques. I have also decided to build one in my country. Pray to Allah that my wish come true. These are truly amazing and a sharp reminder of the indescribable beauty of Paradise. May Allah reward all of us with Paradise. Maasha ALLAH, this is the real wonder of the world. One of the best collection, there are many more mosque in this world, but not uploaded. Thanks for giving such beautiful breath taking photographs of MOSQUE. May ALLAH keep you happy always. Ya-Allah give me the change to pray in all these Masjids..
great monuments, no doubts whatsoever, wish to see them full all time, may All bless you all. AAmeen. thanks for each photographer. .
MASHALLAH all are so beautiful Mosques . Alhamdulillah! Islam is one one religion that can change your life. Wow! Amazing! Mashallah some great Mosques around the world. Can’t believe you left out Iranian mosques such as Shah Mosque, Goharshad Mosque, Imam Reza Mosque and Shah cherish to name a few! They are much more beautiful and even more ancient than half of the mosques on this list! subhan allah, nice collection of mosques, may allah bless to all muslims and give us tofiqe for salah for five times , every day with jamat. ameen . I have never seen this type of mosques in my life , this is unbelievable, but believable, really today I have achieved some thing after seeing these beautiful mosques biggest designed Muslim masjids. subahan allah, very beautiful mosque picture. Wonderfull!!,Ennormous!!,Finest! !,Unbeliveable beautiful !!!!!!! If I include all the beautiful word further I can’t explain its beauty. MashaAllah. Great Sharing, God Bless You! Thank to the person who give me the opportunity to Observe the picture in the world. Alhamdulillah, jazakallhu khairan fiddarain for your good work.May Allahgrant us pure iiman and a’mal– ameeeen. Very heart taking places that u have presented thank you very much for all your efforts. What a great collection.MASHALLAH, SUBHANALLAH. Subhanallah! Think how beautiful will be our kind creator Allah who given us sense to create beautiful things in the world. We never forget it that, we are muslim only for Allah, we are employees of Allah. We should think to make a better world. Without Islam, without Al-Quran…is it possible? Think my dear muslim brother and sister…. It is a very beautiful collection…. very good job may god bless you and us inshallah…!!! I am an American, not Muslim but drawn to Islamic art. These mosques are breathtaking, and you have inspired me to travel and explore the world. Why would anyone deprive themselves of such splendor and regal beauty? Not me. This is probably an unpopular sentiment among some of my countrymen. I plead “freedom of speech” and “freedom of choice”. Thank you. I highly Appreciate Your comment ! Thanks for going through the Pictures and yes we warmly welcome you to Go and see Muslim art. Very good work, may ALLAH bless you. It is nice, but one thing, is the petronas tower a mosque? Thank you very much to provide 40 Beautiful mosques collection God bless you. it is a great job for muslims. Allah bless you and your family. amazing collection of mosques. May Allah bless all the viewers .these have been built long long year ago for offering prayers. Its a great collection of the mosques and i feel verry glad to see all pics and i love all these pics. God bless to all muslims. Masjid(mosque) is open for all. During our Prophets (PBUH) time masjids used to be the community place where everyone used to share their problems and got the solution. It helps to know each other of local people by praying 5 times a day. How amazing. Masjid is the place to strengthen brotherhood. Lets practice it again and again. ASSALAMUWALAIKUM WA RAHMATULLAHE WA BARAKATUHU. LA ILAHA ILLALLAHU MUHAMMADUR RASULULLAH (PBUH). it’s really great picture.. subhanallah.. i admire it so much..
being a designer i always appreciate mosque designing ,old mosques are very very impressive and increadibaly done at that time but new ones are also very beautiful. I like your comment. We Muslims need to build relationship between each other. Masallah, Wonderful collection, A great job. Thanks a lot. Thanks to GOD and you. Please add more beautiful Mosques. May GOD bless you. mashaallah it is great to see these beauti ful masjid. What you have missed out are by a mile the most beautiful mosques in the world, the persian mosques in iran, afghanistan, armenia amongst others. The ardabil, isfahan mosques and mazari sharif mosques are thr most beautiful but you havent mentioned them. Subhanallah so stunning great work …may Allah swt bless you. please come to Bangladesh & see the best mosque in Faridpur Atrashai(Bishwa Zaker Monzil). SUBHANALLAH ,Best collection of the Mosque ,GOD bless u.
i like all moques in the world. Masha Allah Very Beautiful Mosques. Masha Allah! very rare and beautiful collection! What a marvelous architecture! Jazzakallah hairan! very very good collection god bless u. ‘MASH-ALLAH’ brother, a truly priceless effort. I am bemused by the beauty, may ‘ALLAH’ give you more enlightening ideas such as this. just superb to see ……. How inspiring! What noor and peace u have captured! My heart is filled with joy just viewing them. Through the use of sight , a valuable da’wah inshallah ! May the opportunity come for me to visit these gems in person , with the grace and mercy of Allah ta’alla who has provided man with such amazing abilities to create and to capture , as the brother has done. Masha’allah! I look forward to more in future inshallah . a lot of thanks for u and ur Team n Supporters. God Bless u bro,and may u see happiness n success. All Masajids were excellent and beautiful, may ALLAH give me an oppertunity to build a Masjid. (Plz don’t call any Masjid a Mosque). wht a nice picture collection. REALLY BEAUTIFUL MOSQUES APPEARANCE OF GOD. I LIKED IT VERY MUCH. I LIKE THESE MOSQUES VERY VERY MUCH AS MY GOD IS BEAUTIFULL THESE ARE ALSO A REFLECTION OF BEAUTY. PLZ ADD ONE MORE MOSQUE IN JINDHAR (SHAKAR GARH). MASHAA ALLAH very Nice Masjid. and Always say MASJID plz not a mosque. Msha allah you done a great& wonderful job. may god bless you……………………………………………. ALHAMDULILLA BOHAT ACHI AUR NAFEES MASJIDEEN BANI HEIN.EMAN KE TAZGEE KA EHSASS HOTA HEY. Very beautiful collection, jazak Allah. This is the pretty face of Islam. Subhan Allah! What a beautiful collection of Mosques, really amazing. “Allah” is Great & Home of “Allah” (Masjid) only most beautiful home in the World, nothing others. Masha Allah, may Allah reward you for the good work. But not single mosques from west Africa or even Africa? Please include some of our beautifull mosques in west Africa in the future. masha allah subhan allah really most most beautyfull mosque..
thanks for upload nice and great captured. These pictures are heart touching. I’m proud to be a Muslim. SUBHAN ALLAH ,, beshak we feel proud to be muslim…. Really a heart touch full of mousque. seeing this picture a we feel proud. Masha Allaah, I am verz fortunate to be Muslim and proud to be Muslim, these photoes are really heart touching. SUBHAN ALLAH,, I really appreciate ALLAH for giving us tis life and born as a Muslim. this all beauty is really dedicated to ALLAH.. Beauty shine always this are the best beauty of world. SUBHAN ALLAH we proud to be a muslim…. Recomend. Al Irsyad Mosque- Bandung ,Dian Al Mahri mosque- Depok and Baiturrahman-Aceh. All pic These are the Muslims Masterpiece. Very nice is it world. Subhan Allah, what a beautiful mosques pictures. Mosque are the home of Allah. I am proud of that i am Muslim. and the umtti of Holy Prophet Hazrat Muhammad (Peace Be Upon Him). All Mosques are very beautiful. may allah bless you all for doing such a beautiful job. man apna purana papi hai ……………. barson main namazi ban na saka !!! Beautiful pictures taken. Awesome piece of work.